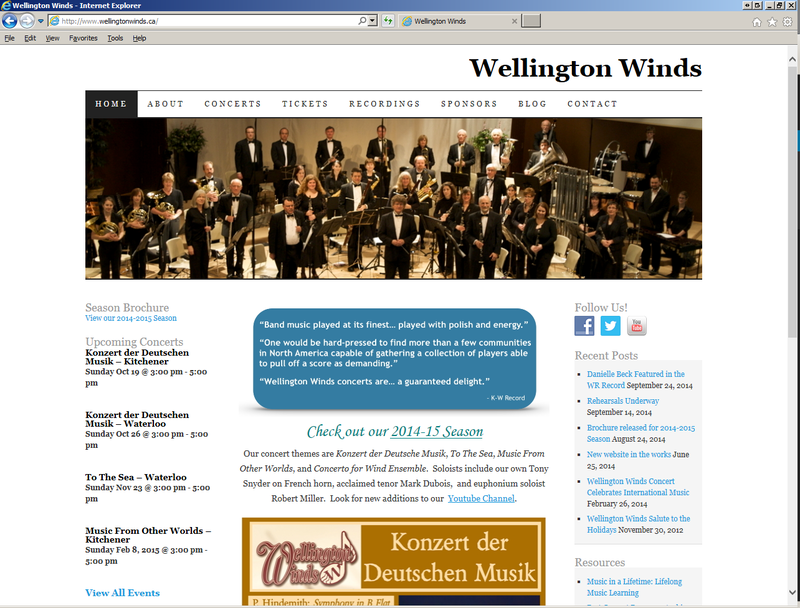 The Wellington Wind Symphony is undertaking a search for a new music director. Are you an exceptional musician and conductor with outstanding qualifications and leadership skills? 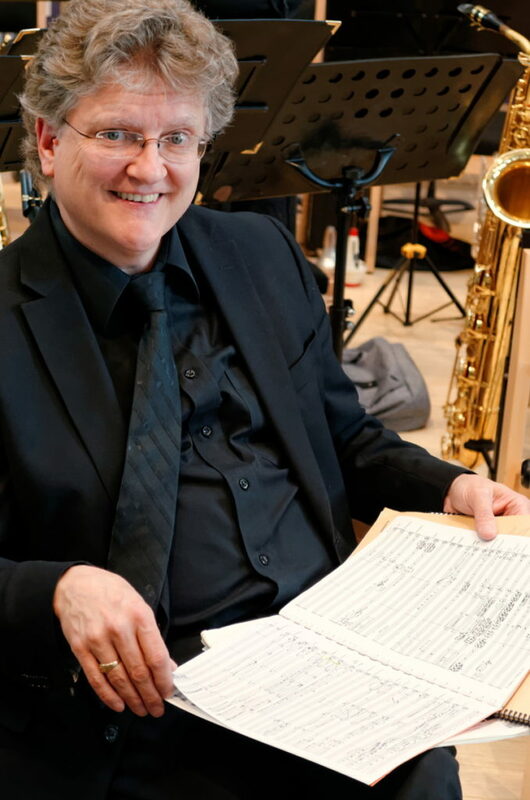 It is with regret that the Wellington Wind Symphony announces our Music Director Daniel Warren’s resignation from this position, effective at the end of the current season. 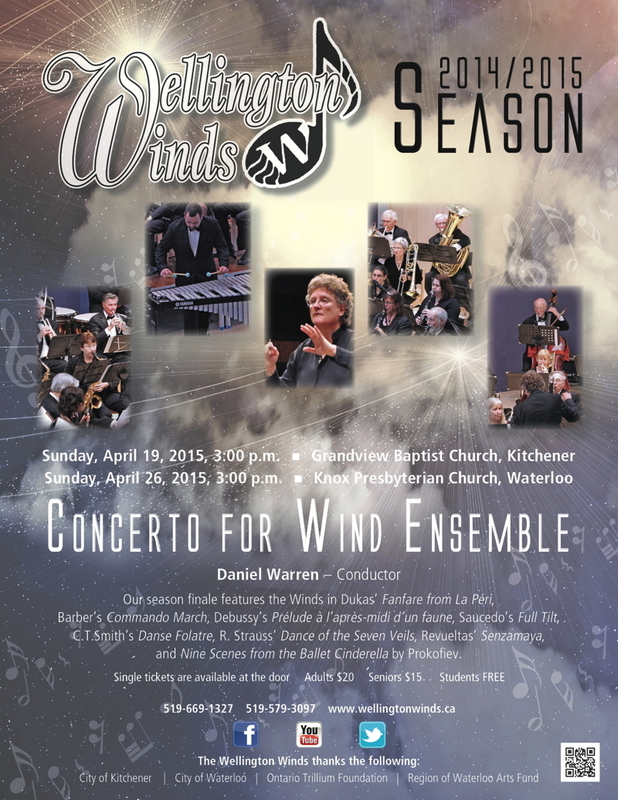 Our concerts on April 19 or April 26 mark the grand finale to this very successful season. Concerto for Wind Ensemble features the capabilities of the whole group, and promises to be an exciting and entertaining program. Please do join us! 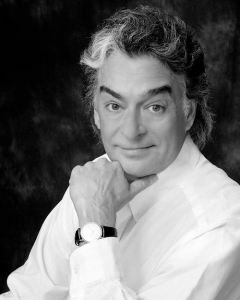 We are very pleased to welcome Mark Dubois, internationally renowned lyric tenor, as our soloist on November 23. Mr. Dubois will be performing selections by Donizetti, Lalo, Strauss, and Gilbert and Sullivan. Our first set of concerts, themed Konzert der Deutschen Musik, are coming up! 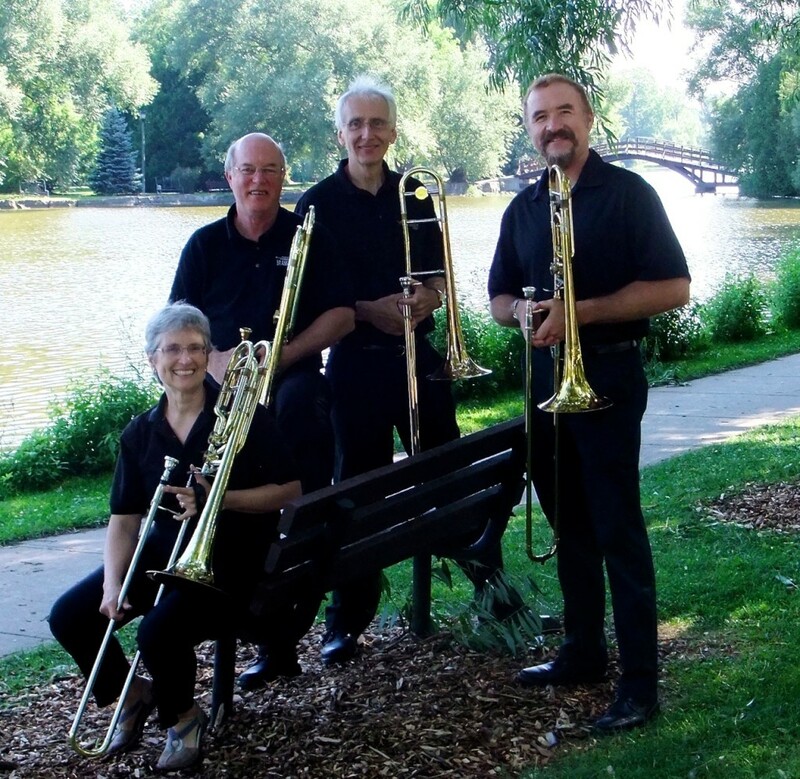 We will be performing on Sunday October 19 at Grandview Baptist Church in Kitchener, and Sunday October 26 at Knox Presbyterian Church in Waterloo. Both concerts begin at 3 p.m..
Wellington Winds member and Wilfrid Laurier University music student Patrick Godfrey is making a sensation on YouTube, with his cover of the 2003 hip-hop hit Hey Ya! by OutKast – on French horn! 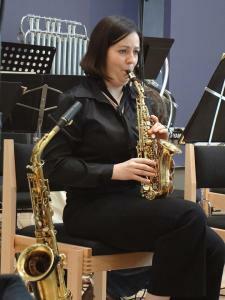 The Winds’ principal saxophone player, Danielle Beck. Wellington Winds principal saxophone player Danielle Beck is the subject of a feature story in today’s Waterloo Region Record. The feature tells the story of Danielle’s success as a business owner, and her life as a professional musician. 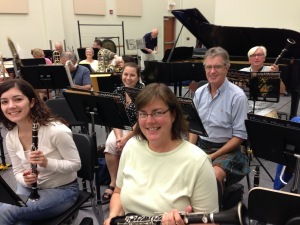 Happy faces at the first rehearsal of the season.